In his groundbreaking book, The Case for Mars, Robert Zubrin discussed the role of “dragons” in influencing perception of the various hazards of travelling to and living on the Red Planet. It is an analogy drawn from the beginning of European mapmaking early in the age of exploration and the tendency to assign all sorts of horrors just beyond the borders of known coastal trading routes with the cryptic warning, “Here there be dragons.” In the end, there weren’t any dragons, just a lot more sea, punctuated by the occasional rogue wave, which was in all likelihood considerably worse, especially from the perspective of the sailor. When applied to our own age of exploration, which is also just beginning, the dragons are all the various perils of going to Mars which need to be studied to a fare-the-well, presumably by the same people pointing out the danger, before a mission could ever be contemplated. Human nature being what it is, studies beget more studies, and Mars , like nuclear fusion, is pushed forever 20 years into the future. With the exception of one built by a small company in Hawthorne, California, the several months has been a bad time for dragons. First, the Mars Curiosity rover released data clearly indicating that the surface radiation environment on the planet is entirely manageable by astronauts in spacesuits taking normal precautions. Worse, data collected on the radiation environment in space during the interplanetary cruise also indicates an environment which while not completely benign, is readily manageable. So while a deflector dish projecting energy shields around the ship would admittedly be pretty cool, it appears a simple “water wall” incorporated into the transit craft will suffice instead. 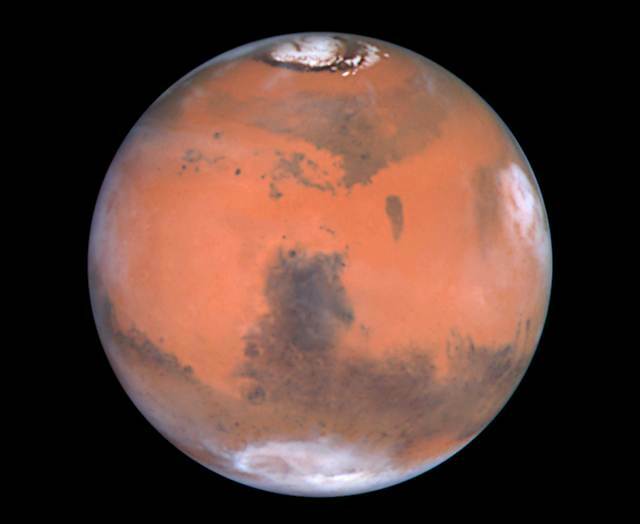 Perhaps most ominously of all, the announcement of the Inspiration Mars mission on February 27, has now raised the distinct possibility that issue of in space radiation exposure will be put to the test on a 501 day circumnavigation of Mars planned for 2018. Given that the mission is scheduled to occur during an anticipated “solar minimum” skeptics will still be able to argue that other Mars transit opportunities may hold more risk. While accurate, the solution appears to be as simple as a little more spaceship, which given the spartan nature of the inspiration Mars mission, will be part of any follow-up mission anyway. Ah, but what about the perils of actually landing on Mars after a 6 month transit in zero-g? Here there is yet another dragon, this one lurking in the upper reaches of the thin Martian atmosphere, where astronauts experiencing the g force loading of deceleration would be perhaps be too weak to take over the controls and guide to craft to a manual landing in the event of an inopportune computer malfunction, instead watching passively as the craft plummets to certain doom. Scratch one more dragon off the list. A day after returning to Earth from a 143 day stay aboard the International Space Station, Russian cosmonauts Oleg Novitsky and Yevgeny Tarelkin were whisked to the Russian cosmonaut training center, Star City, in the outskirts of Moscow and placed in a centrifuge to test precisely that scenario. By now you know where this is going. The gravity weakened pair were able to execute the simulation successfully, saving their hypothetical lives and the fate of the mission. Further simulations are expected in the future, and one would hope that they include American crew as well. The third member of the returning ISS expedition, astronaut Kevin Ford, did not participate. 5 Comments on "Slaying the Dragons of Mars"
Here’s how we settle mars for a single $200m investment. Put a BA330 in orbit keeping the Merlin upper stage to form a rocket with life support for six. If Bigelow’s plan works, that single BA330 will produce up to $225 profit per year ($6.25 per person visit) from nations that want a better alternative to waiting for a spot on the I.S.S. Those six would require two mars one landers ($380m) to reach the surface of mars. Doing it this way would make first landing in 5 to 10 years for a one time investment of $200m. Only men and woman of iron required.